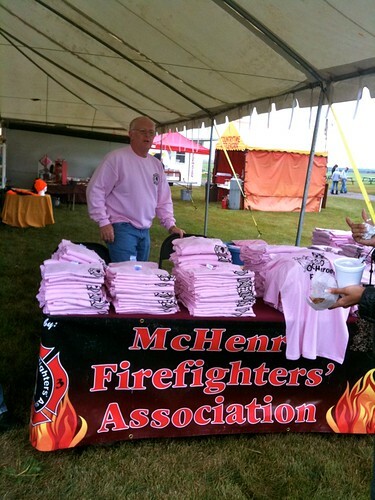 Join the McHenry Township Fire Protection District “Heroes For Hope” pink shirt breast cancer awareness campaign. Show your support for breast cancer awareness by purchasing a McHenry Township Fire Protection District “Heroes For Hope” pink shirt. All proceeds benefit the American Cancer Society. T-shirts, long sleeve shirts and sweatshirts are available. Orders and payment can be dropped off at M.T.F.P.D. headquarters, 3610 W. Elm St. in McHenry during normal business hours (Mon. – Fri. 8am – 4pm). Email Jerry at the Fire Department for prices or to ask questions. Traveler | Yogi | Foodie | Travel Blog Writer | Adventurer. Connect with me on Google. Email April.